My Photos are For Sale! Purchase them here! 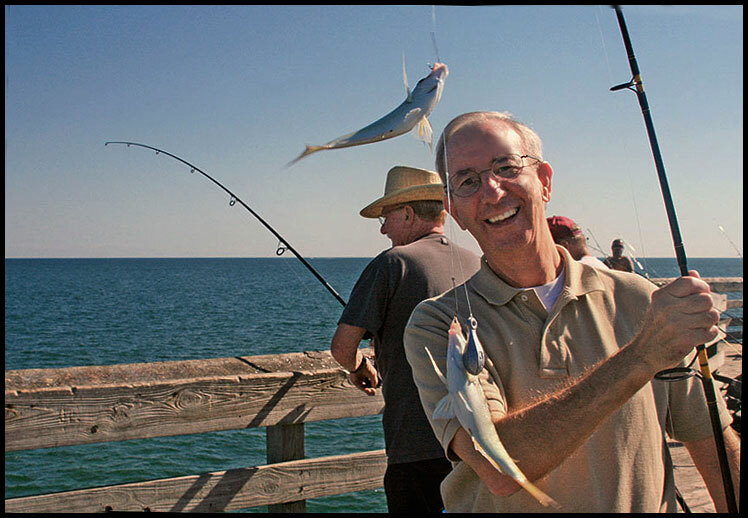 The Fish Pocket Guide is a free .pdf from salt water fishing gov. It is called the S.C. Pocket Guide to fish in the S.C. Atlantic Ocean and it includes such fish as Spadefish, Barracudas, Hogfish. Mackerel, Bluefish, Skip Jack, Trigger fish, Puffers, Flounder, Sail Fish, Whites and many more. Another good source of information is Pilot's Home Grand Strand Fishing Reports. 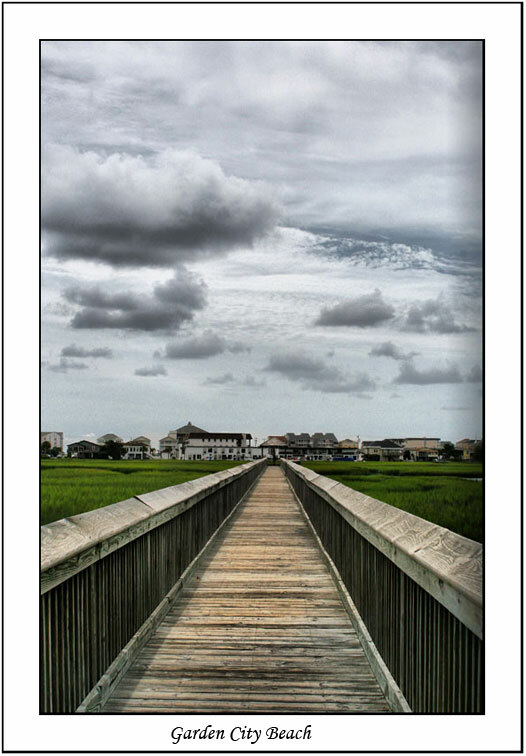 LINK: NINE EPIC PIERS IN SOUTH CAROLINA! 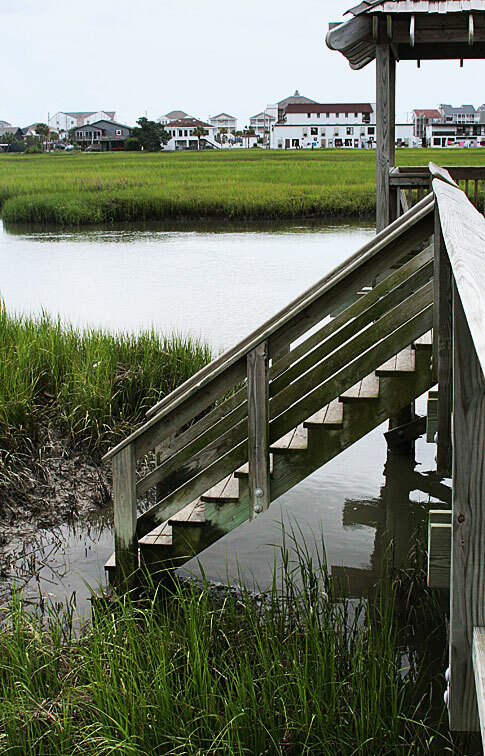 Where you stay will probably determine the fishing pier you will want to visit most often. Some piers are free to walk, while others charge a small admission fee, which is usually just $1. 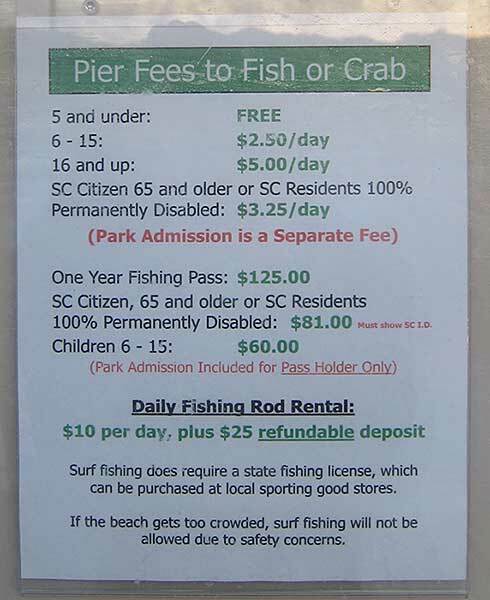 All our Grand Strand piers offer fishing equipment that you can rent or purchase please note - I received an e-mail telling me the fee to walk Cherry Grove pier has increased their walking fee to $2. 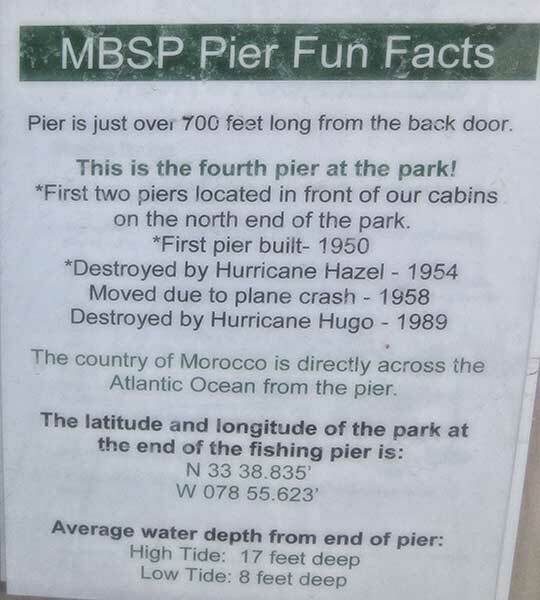 Myrtle Beach State Park has added informational fish signs on the pier. The signs show pictures of the fish, the fish's identity, bag limit, size limits and restrictions. My photos rotate every 5 seconds. Click any image to stop rotation, Atlantic Sharpnose, Black Drum, Blue Crab, Blue Fish, Atlantic Crocker, Flounder, Red Drum, Atlantic Spade, Mackerel, Spots, Spotted Trout and more. Myrtle Beach State Park Fishing Signs! "Sign, sign, evertwhere a sign, blockin' out the scenery, breakin' my mind" :-) Click any photo to stop the rotation. National Marine Fisheries Service: New Regulations Population assessment updates for vermilion snapper and reds porgy have been completed. The vermilion snapper indicates the population is no longer undergoing over-fishing (when the fish are taken from the population too quickly) and is not over-fished (when there were not enough fish in the population) The stock assessment update for red porgy indicates the species is not undergoing over-fishing population based on assessment updates, and NOAA Fisheries are proposing to modify for vermilion, snapper and red porgy. Keep up to date with these links: Wildlife Conservation Commission South Carolina, NOAA Fisheries Southeast Regional Office frequently Asked Questions (2016) You may also be interested in South Atlantic Seasonal Closures and Trip Limits Again, of you are using a fishing charter or rental in the Grand Strand area this is encluded in your initial price. These local businesses are already be aware of all the requirements. More about License Fees! Here's a photo of the S.C. Recreational Fishing License requirements This link explains exactly \who has to pay a license fee and who doesn't. 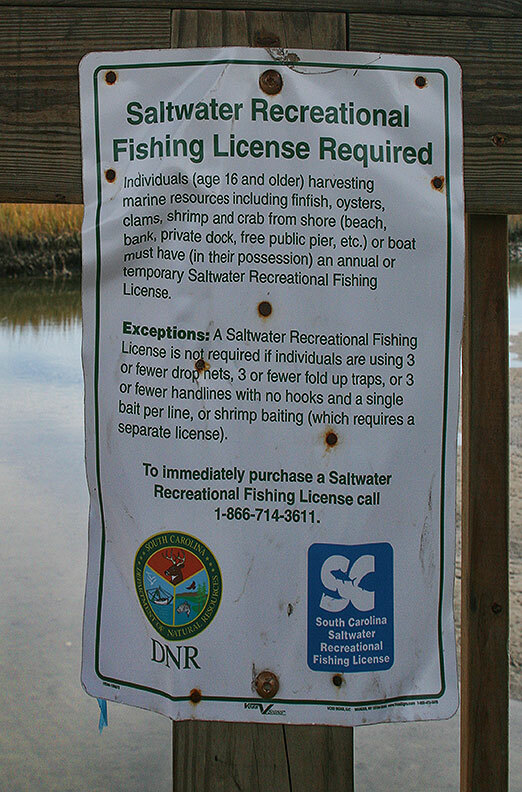 For free, you can download the Adobe .pdf for Saltwater Fishing Rules and Regulations. Got questions about local piers or fishing? Want to share your story of the one that got away? Let's hear it! Myrtle Beach Message Board! (Please be a responsible angler and throw back any fish too small to eat. Cherry Grove Beach Pier 3500 N. Ocean Blvd. North Myrtle Beach. Daily prices: $1.00 a person to walk. The Cherry Grove pier claims many record-setting catches including a world record 1780 lb. Tiger shark and a 98 lb. record-setting Tarpon. Cherry Grove Pier was built in the early 1940s and has been the Prince family since 1965. It has weathered many hurricanes and was remodeled and lengthened in 1999, after a visit from Hurricane Floyd. The Tackle/Gift Shop has everything you need! (843) 249-1625. Myrtle Beach State Park is 3 miles south of Myrtle Beach on U.S. 17 business. Free to walk on the pier with your paid admission fee. Fishing Prices: A daily fishing pass is $7. Rod rental requires pass plus $8 rental fee and $20 refundable deposit. April - October 6:30AM-8 PM; Nov. - March: 10AM-5PM. Call Myrtle Beach State Park for more information. (843) 238-5326. The Pier at Garden City The pier at Garden City Beach is free to walk. 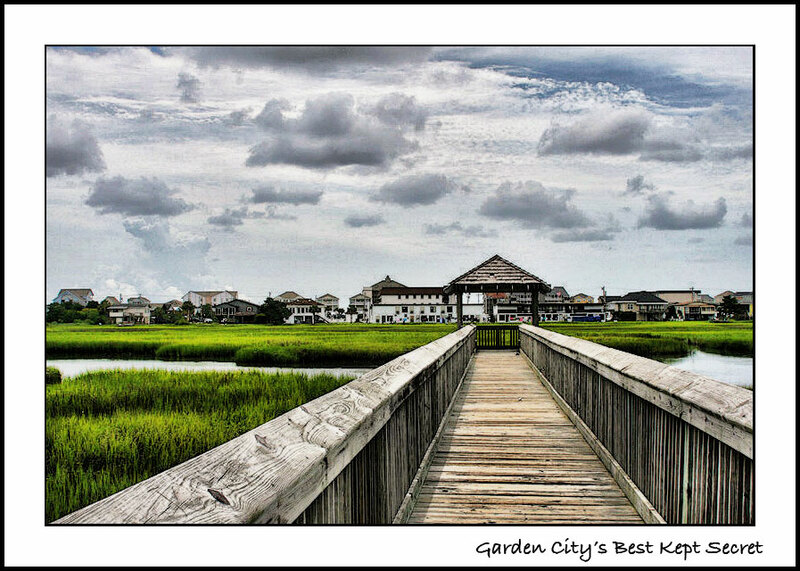 It is located 8 miles south of Myrtle Beach in the heart of Garden City Beach on the south strand. The Pier at Garden City is 668 ft long with a rain shelter at the end of the pier. It is located at S. Waccamaw Dr., Garden City Beach, S.C. 29576. (843) 651-9700. Second Avenue Pier 2nd Ave This pier serves as the Southern anchor to Myrtle Beach's famous Boardwalk, and it's a Grand Strand landmark. This pier offers food, fishing and fun. Call 843.445.PIER (7437).2nd Ave. See my photos of this pier, damaged by Matthew. Surfside Pier Surfside Pier was originally built in 1953, and has been rebuilt at least three times. The lasttime was in March, 1993. As far back as can be recalled, a wealthy group of businessmen first built the pier and the Tillman family later purchased it. During the 70s and 80s, the Holliday family owner and operated this pier. After the "storm of the century" knocked it down for the 3rd time. "The pier was re-built and sold to the Scalise family. 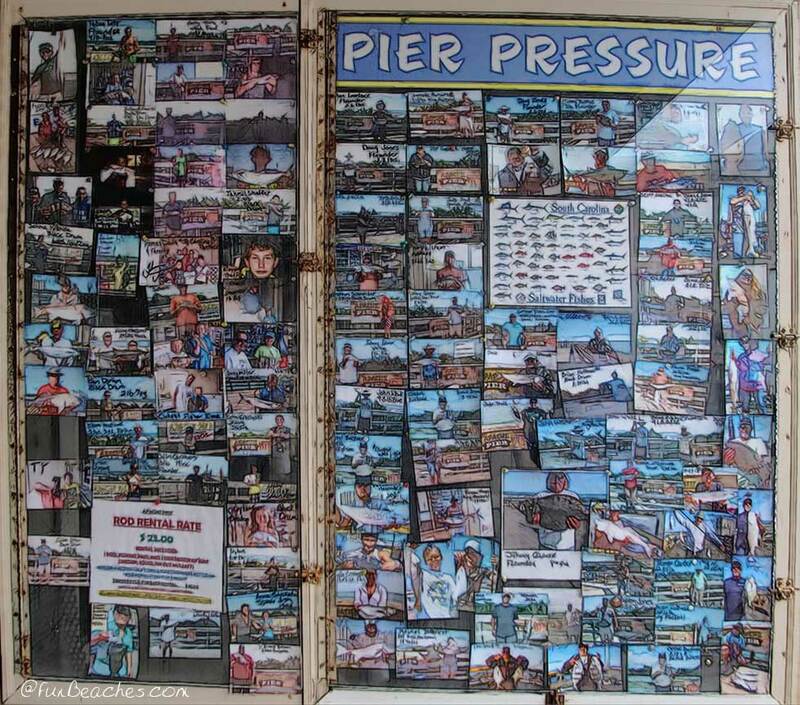 Several years ago the pier was leased to the Kremers. Open from 6 AM - 11 PM Surfside Pier is located at 11 S. Ocean Blvd., SC 29575 (843) 238-0121. 3/2/2018 (WBTW) The Town of Surfside Beach will receive approximately $10M from the federal government to help rebuild the town pier, according to Mayor Bob Childs. Read about it here. Veterans Pier - Murrells Inlet is free to walkk If you want to fish, you will need a saltwater fishing license to fish off Veterans Pier, any dock, bridge or jetty, or private boat in the Murrells Inlet estuary. The Marshwalk, including the Veteran's Pier, is 1/2 mile long. The pier is open to the public (no fee) sunrise to midnight, 7 days a week. There are several ramps and walk-outs. Wheelchairs are also available. Garden City's "smaller per" is free to walk - and almost hidden! A quiet pier for families and anyone who wants Business south to Garden City Beach. Bus South to Garden City Beach. You'll see two overhead signs. One says Garden City Connector (google it) - the other says Pine Ave. - both signs point left. Go 1/2 mile to the deads end, turn left and go to the end at Elizabeth.The park is straight ahead. 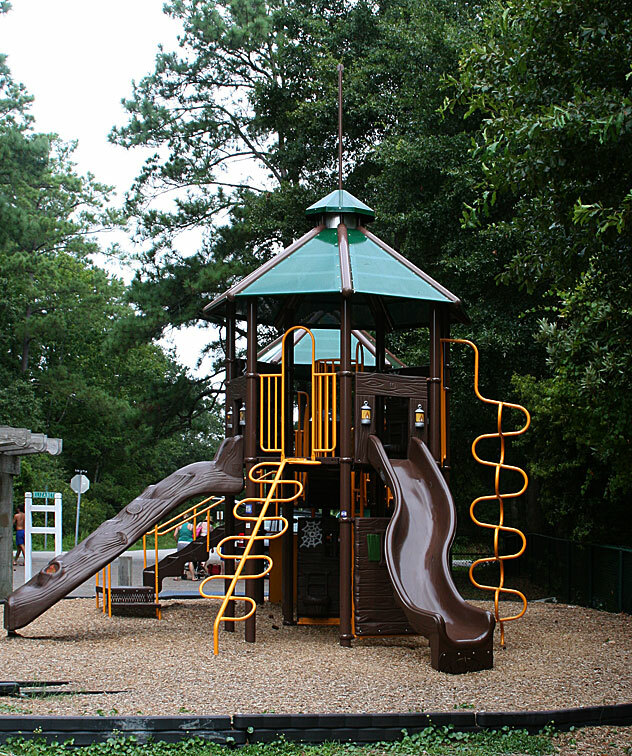 Pull in and park free.You'll see swings, play area, outdoor barbecue stands, picnic tables and a pavilion. Just past this point you will see really nice pier. At the end of the pier, you'll find a shelter: And to the left you will see some steps. You can crab from the shelter and seldom see anyone there. I've seen people pull up crabs here, and I'm always surprised to see it is relatively undiscovered. P.S. Let's keep it that way! Tip: Two hour before and two hours after high tide are the best times to fish. Don't forget your bug spray and especially your sunscreen...and DO NOT forget a hat! Also, be sure to check the daily reports from the SC Dept. of Natural Resources Salt Water Trends to stayt current with National Resources information. The Fish Pocket Guide us a free .pdf from salt water fishing gov. It is called the S.C. Pocket Guide to fish in the S.C. Atlantic Ocean and it includes many fish...Spadefish, Barracudas, Hog Fish, Mackerel, Bue Fish, Jack Fish, Triffer Fish, Puffers, Flounder, Whites, Sailfish and many others. When (and when ) are the dish running at the Myrtle Beach area piers? Red Drum May - Nov.
Red Fish July - Nov..
Sea Bass Jan - Dec.
Sea Trout July - Nov.
Spanish Mackerel May - Dec.
Jan-March - Nov. and Dec.
Stripers Jan. to March; also Nov. and Dec.
Tarpon Jan. - Feb. and also Maythrough Sept.
My Photos are For Sale! Purchase here!